Over all, the national turnout was 36.3 percent; only the 1942 federal election had a lower participation rate at 33.9 percent. The reasons are likely voter apathy and negative perceptions of both political parties. Republicans ran a single-theme negative campaign against President Obama, and Democrats were unwilling to campaign on how much the national economy has improved or to point out significant achievements of Democratic policies over the six years of Obama's presidency. Neither party gave voters an affirmative reason to show up at the polls so Millennials didn't bother to vote, single women were a little less pro-Democratic than usual, and the racial divide among voters remains stark. One number stands out above all others: 64 percent of older white men voted Republican. It's the "widest GOP advantage in this group in data since 1984," according to ABC News. Historically Low 2014 Voter Turnout - Why? General election voter turnout for the 2014 midterms was the lowest it's been in any election cycle since World War II, according to the United States Election Project. 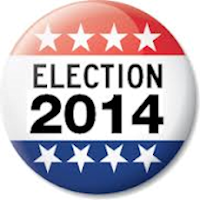 Just 36.4 percent of the voting-eligible population cast ballots on November 4, 2014. The last time voter turnout was so low during a midterm cycle was in 1942, when only 33.9 percent of eligible voters cast ballots. Like many, I'm asking the question - why did only 36.4 percent of potential voters bother to vote in the 2014 midterm election? Obviously, those voters didn't have a good enough reason to take the trouble to vote.